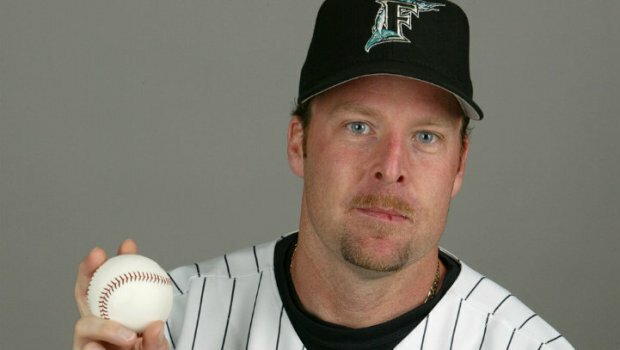 Jeff Mathis hit an early home run, then lined a double in the eighth inning, leading the Marlins to victory. Jeff Mathis hit an early home run, then lined a tiebreaking double in the eighth inning that bounced off Giants center fielder Andres Torres and sent the Miami Marlins over San Francisco Giants 6-5 Sunday. It was 5-all in a back-and-forth game when Ed Lucas led off the eighth with a single against Sandy Rosario (3-1). With one out, Mathis hit a liner to left-center and the ball dropped in front of Torres' dive and caromed off him. Chad Qualls (4-1) pitched 1 1-3 scoreless innings and Steve Cishek worked the ninth for his 27th save in 29 chances. Hector Sanchez singled with one out in the ninth before Buster Posey grounded into a game-ending double play. Hunter Pence and Brandon Crawford homered for the Giants.